o Ji-sub’s top-star status for the last two decade is in line with the appreciation he’s received through lots of awards, such as Best New Actor on the SBS Drama Awards in 2000, Best Actor (TV) on 41st Baeksang Arts Awards in 2005, Rising Star Asia Award on the 9th New York Asian Film Festival in 2008, and Best Actor, Top Excellence Award on the 9th Korea Drama Awards in 2016. 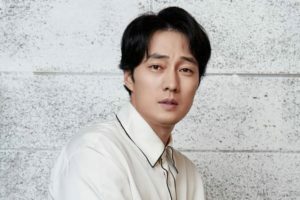 In this article, Channel-Korea will tell you all about So Ji-sub, including his full profile, the list of his television dramas, movies, tv shows, songs, and books. We’ll discuss his family, his girlfriend, his plastic surgery, his abs, his social media, his new movie, and his recent news. So, keep reading! As has been explained in his personal profile earlier, So Ji-sub was born in 1977. According to the Korean Age System, in 2018 So Ji-sub is 41 years old, or 40 in the International Age System. Besides So Ji-sub, there are a number of other Korean actors who were born in the same year, as well, such as Kang Ji-hwan, Ji Sung, Won Bin, Jo Dong-hyuk, and Oh Jung-se. So Ji-sub is considered to be a tall and slim man, as his height is 183 cm, whereas his weight is 70 kg. As has been mentioned at the beginning of this article, So Ji-sub is a former swimmer who made a career switch to be a celebrity. 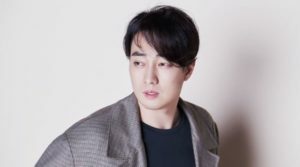 Debuting at a relatively young age, So Ji-sub’s acting skill has been praised by experts since the early days of his career as an actor in television series, films, and music videos. However, not many people know that before he became completely immersed in the cinema industry, So Ji-sub often appeared in various broadcasting programs as the host, which is completely different than his current mysterious and quiet image. 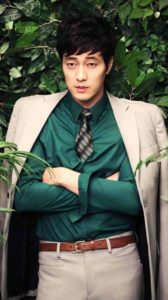 In this section, Channel-Korea has compiled the list of dramas, movies, television programs, and music videos that So Ji-sub has starred and appeared in. Despite already being widely recognized as an A-list actor in South Korea, So Ji-sub doesn’t hide his preference for hip-hop, as well as releasing songs and albums under the name of G-sonick. In addition, the actor is also known for being a talented photographer, hence the release of photo essay books that contain his artwork. In this section, Channel-Korea has compiled a list of songs, albums, and books by So Ji-sub that you may want to take a look at! How Many Tattoos Does B.A.P’s Zelo Have? What’s The Meaning Behind Them?